Adventure Associates is thrilled to offer an amazing journey of discovery to the Horn of Africa; lands which were once traversed by caravanserais of the Queen of Sheba. Few nations, if any, can boast the historic splendour of Ethiopia, with its rock-hewn churches of living worship and traditions. Ethiopia is a nation of surprises, full of diversity, from the ancient to the modern. Legend has it that Emperor Menelik I, the son of the Queen of Sheba and King Solomon, brought the Ark of the Covenant from Jerusalem to Aksum, where he settled and established one of the world's longest known, uninterrupted monarchical dynasties. Adventure Associates has assembled a superb mix of features and attractions on this adventure, including the Blue Nile Falls and visits to colourful religious celebrations. Your journey is one of ease and comfort and full of fascinating cultural legacies. It is a tour offering exceptional value. 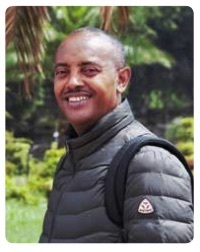 Daniel is the Managing Director of our partner company in Ethiopia and will be our guide on tour, he is also passionate about delivering a quality travel experience. Daniel has a vast knowledge of all aspects of Ethiopia, having been a high school teacher prior to developing an interest in tourism. The combination of his knowledge as a teacher, travel consultant and a naturally gregarious personality, makes him the ideal tour guide. Daniel has travelled widely, attending workshops and training sessions in Africa and other parts of the world, as well as obtaining his MA degree in Social Anthropology at Addis Ababa University, deepening his knowledge of the diverse cultures and peoples of Ethiopia. Daniel's vision is to provide an authentic experience of his country, conserve the fragile environment, and to help boost the income of local communities through sustainable travel practices. Sue graduated as a veterinary nurse before embarking on a more adventurous life as a professional outdoor guide. 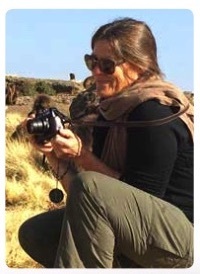 Over the past 25 years she has worked as an expedition leader, photographer and tour guide. Throughout that time she has been at the cutting edge of developments in adventure travel, mainly specialising in Antarctica and the High Arctic. Her enthusiasm has taken her to many remote corners of the world, including Ethiopia, Madagascar, the Amazon, Africa and the Himalaya. Spending three months living in Grytviken, working for the South Georgia Heritage Trust was a highlight of Sue's career. In January 2015, Sue took the helm at Adventure Associates and continues to plan even more exciting journeys to remote destinations. People who ordered Ethiopia – Ancient Abyssinia also ordered the free travel brochures below. Click on the images to find out more about these brochures.